Despite your best efforts at maintaining your residential or commercial fencing, chances are that you will eventually need to repair or replace it. However, there is more to the process of doing so than you may think, which is why you should hire a professional rather than do it yourself. Before hiring somebody, you should first make sure that it is on your property and not that of your neighbour. Upon doing so, then confirm with the utility company that no important phone or electrical lines are running through your property, as the fence posts will need to be sunk into the ground; failure to do so could result in injury to the workers and a fine. One of the advantages of hiring a professional is that they will have the necessary tools and experience for the project. As someone from outside the industry, it is unlikely that you are familiarized with all the types of equipment and materials needed for your project, such as cement and boring tools. When it comes to residential or commercial fencing, most people typically picture chain link or wooden fences; however, many properties use brick or stone. 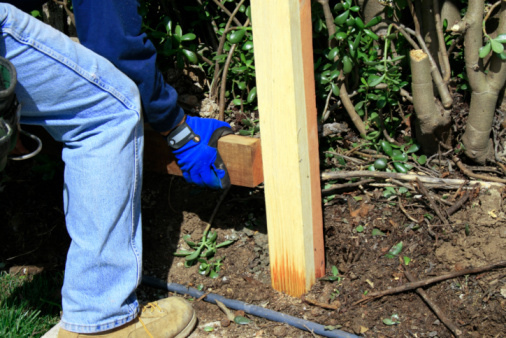 A fencing company will be able to asses the best place to start tearing down the fence and/or which areas need to be replaced, simplifying the process. Professionals will know how to quickly and efficiently tear down commercial or residential fencing and make the necessary replacements. 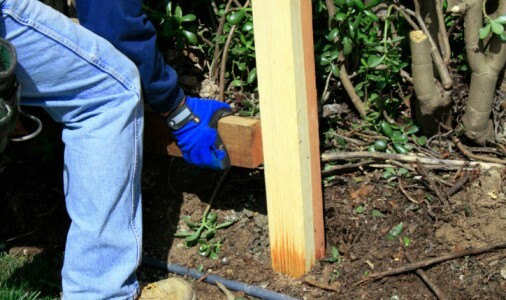 And when it comes to removing posts, it may require digging or the use of specialized equipment—yet another reason to leave it up to the pros. Removing a fence requires plenty of help and everyone has to be careful to avoid causing damage to your property and adding to your costs as a result. This is another reason why calling professionals is recommended, as their entire team will be skilled and know the safest practices. At Total Fence Inc., we provide the best removal and repair of residential and commercial fencing in the Greater Toronto Area at an affordable price. Our team of experts is familiar with different types of fencing and will use the highest-quality materials to replace or repair your fence.